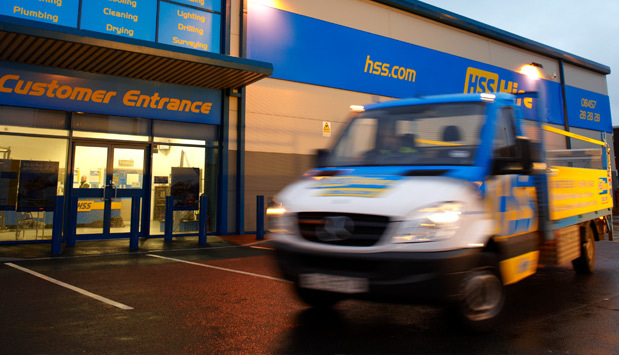 HSS has an established nationwide network of over 250 locations throughout the UK and Ireland, helping us to ensure equipment availability and drive operational efficiency. Our network stretches the length and breadth of the country and includes large distribution centres and local branches as well as dedicated training facilities and specialist depots. Through our HSS Onsite programme, we also situate temporary facilities at our customers’ premises. All of our locations are supported by an extensive fleet of liveried vehicles and underpinned by an industry-leading operating and distribution system. 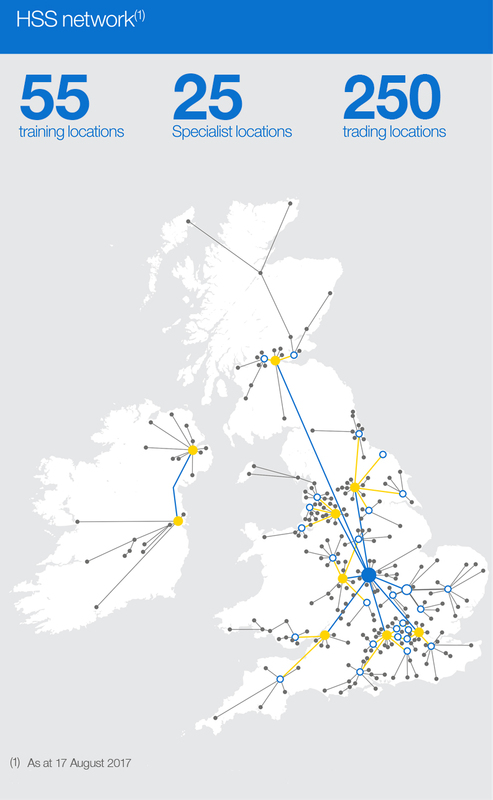 We are continually evolving our distribution network. 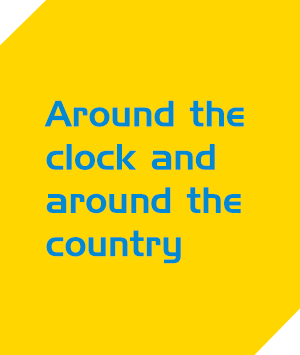 As at 17 August 2017 our 24 hour hub and spoke network comprised over 250 trading locations across the UK. Our Specialist businesses operate from 25 locations, and our HSS Training business operates from 55 locations. In March 2016 we opened our new National Distribution and Engineering Centre (‘NDEC’), designed to drive kit quality, availability and capital and operational efficiency improvements. This was successfully introduced across England, Wales and Scotland through 2016. We strive for continuous improvement as we learn from and refine our operating model in order to deliver the best possible service to our customers. The NDEC is being managed under a long term agreement by our logistics partner, Unipart. All Distribution Centre and local branch fulfilment is fulfilled by the NDEC and is undertaken on a daily basis. 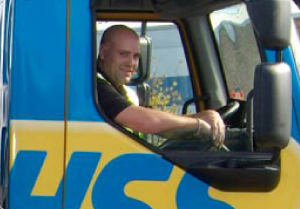 Our wider national network comprises Customer Distribution Centres (’CDCs’) which focus on delivering and collecting equipment to and from customers, and nationwide local branches which focus on providing excellent service to customers across the UK who wish to collect, order or drop off hire equipment in a locally accessible branch. Spare, testing, repairs and maintenance work is undertaken within the NDEC, driving reduced engineering cycle times, higher quality levels and better hire fleet availability across the network.